13. Gita is a religious textbook, just like Bible is for Christianity and Quran for Islam. So, why should I, being a non-Hindu even read it? 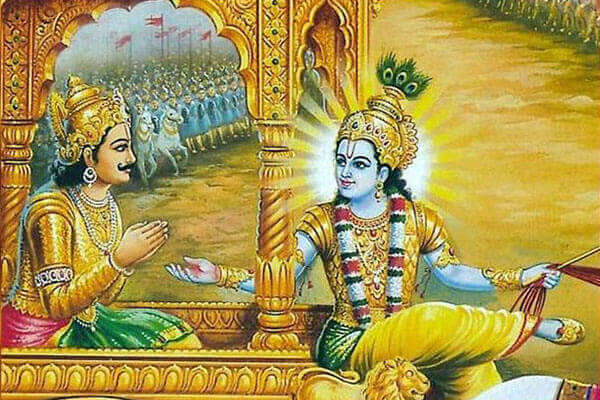 Gita is not just a religious textbook. It is a manual on how to live life happily. Just like we get manual when we buy a device, Gita is the manual for human beings. For an electronic device, unless we follow the manual it might get burnt or get damaged. For maximum output and best result one must follow the manual. Similarly, we have to follow these instructions of Gita to lead a happy life. Whether God exists or not is not the question. Do you have sorrow? If so, you need this. Gita is teaching us how to get rid of the sorrow permanently. In LIfe any situations can arise at any time. All that we have valued all throughout life could leave us, we may fail in exams, we will falter in life, or fall sick and our businesses may fail in a moment. When we understand this, we will be prepared and be unaffected by it. Other texts are applicable to certain section of society, age group, race, gender, space and certain time etc. But Gita is applicable irrespective of time and space. Gita is incomparable with any other books – it is not a religious text, but a Universal manual on how to live a happy life.